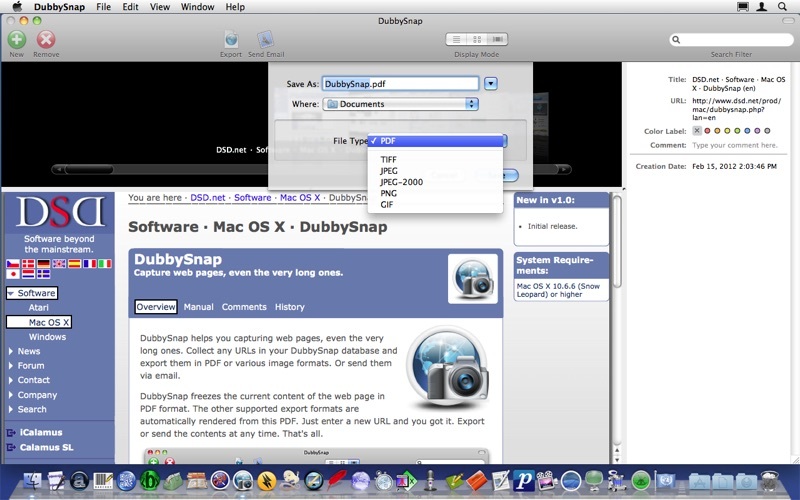 DubbySnap helps you capturing web pages, even the very long ones. 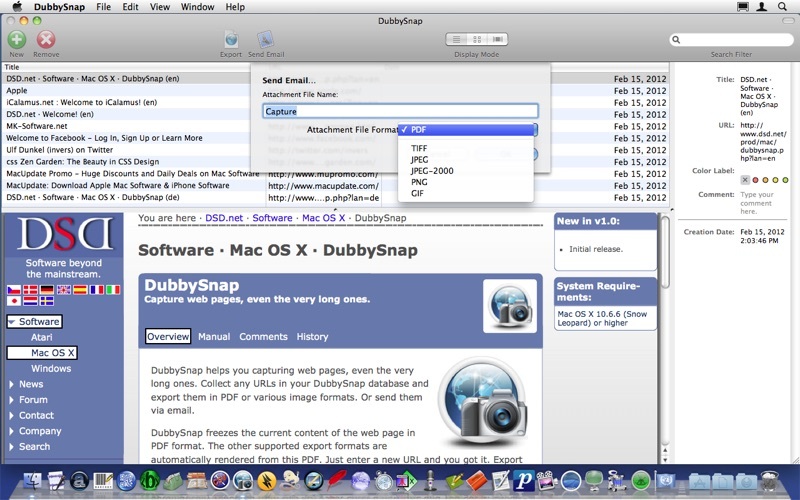 Collect any URLs in your DubbySnap database and export them in PDF or various image formats. Or send them via email. DubbySnap freezes the current content of the web page in PDF format. 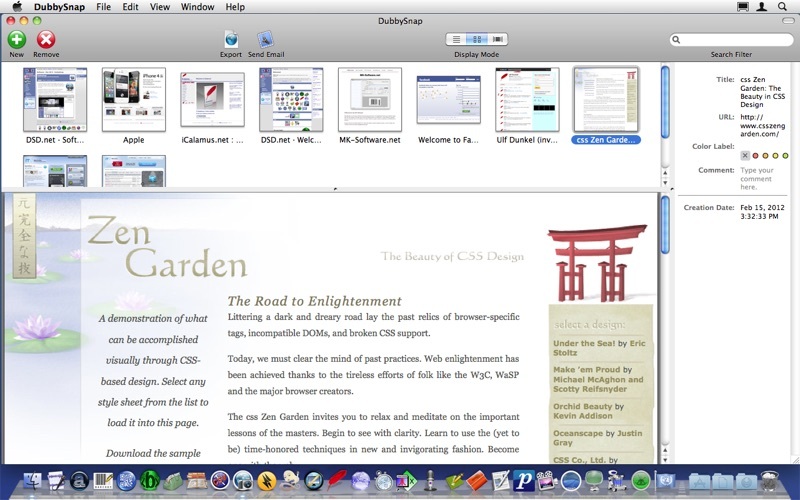 The other supported export formats are automatically rendered from this PDF. Just enter a new URL and you got it. Export or send the contents at any time. That's all. • Capture window no longer is a sheet, which offers better event handling (e.g. on text input in web pages). • Even more web pages can be captured.